Body pillows are soft and cuddly, but they have more to offer you than just something to hug. 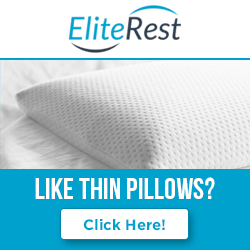 If you’ve ever tried stuffing more pillows under your knees or behind your back, you know that extra support can help you get a good night’s sleep. We’ve gathered information on how to sleep with a body pillow for back pain here to make it easy for you to read. There are three main sleeping positions: back, side, and stomach. Each position puts strain on your spine in a different way, and it is the leading cause of back pain. Body pillows are large pillows that run the length of an average person, and they are used to help relieve pressure from different parts of your body. They are great for back pain, but they can also help with neck and shoulder pain, as well. By using body pillows to elevate various parts of your body, you can relieve the strain from your spine so that it remains in a neutral position throughout the night, no matter how you turn in your sleep. By keeping your spine in a neutral position all night, you won’t wake up in the morning with back pain. In addition, the body pillow allows your muscles to relax more fully, which also increases circulation. Pain and stiffness are greatly alleviated once circulation is improved. The extra support helps increase oxygen flow throughout the body, which also impacts how quickly you heal. A good night’s rest with proper support plays an important role in your overall health. Whether you use a body pillow or regular pillows, each sleeping position requires the pillow to be placed in a different place for the best results. Sleeping on your back can put a lot of strain on your back, which can lead to back pain in the mornings. Many doctors recommend those who experience chronic back pain avoid sleeping on their back if they can. But, if you need to sleep on your back, place a pillow under your knees to help maintain the normal curve of your spine and keep it in a neutral position as you sleep. For best results, use a body pillow to cuddle with and put the lower part of it between your knees. Pull your knees in slightly toward your chest. This supports your hips and your low back so you don’t have pain and tightness in the morning. Cuddling the top part also helps support your shoulders, as well. Doctors agree that this is one of the worst sleeping positions because it puts a tremendous amount of strain on your lower back. If you can’t sleep any other way, place a pillow under your pelvis to prop yourself up and straighten out your spine. It’s best to sleep without a pillow under your head if you can, but if you need one, choose one that doesn’t put too much stress on your back. The body pillow market has expanded tremendously over the last decade or so. There are straight body pillows, c-shaped body pillows, loopy style pillows, and many more. In addition to the shape, manufacturers have also added heating coils, massage mechanisms, and aromatic herbs to make it easier and more comfortable to fall asleep. Some people choose to use a body pillow for the front to help with their sleeping positions, and then another behind them to keep them from moving too much in the night. If chronic back pain is an issue for you, one of the pillows with heating coils at your back is a good way to increase circulation and relax tight muscles while still providing the support you need. There are several different types of materials used to create body pillows, and it’s important to note that price does not necessarily reflect its comfort. Sometimes finding the right pillow is a matter of trial and error. But, the most popular materials are buckwheat, down alternative, polyester, and memory foam. Each one has its pros and cons, but it depends on your preferences and comfort level.